Central Corridor Gamers to offer safe alternative for Corridor youth this Superbowl Sunday. In response to Cedar Rapids Police Sgt. Cory McGarveyâ€™s press release on Wednesday, February 3, (http://cedar-rapids.org/community/NewsDetail.asp?NewsID=2293) Central Corridor Gamers (CCG) realizes the need for safe, positive entertainment for kids in the Corridor community. According to the release, Super Bowl Sunday has become one of the Nationâ€™s most dangerous days on the roadways due to impaired driving. Although many messages about responsible drinking will go out in the coming days, many enthusiastic fans may still put themselves and others in danger by engaging in irresponsible behaviors. To ensure that Corridor youth have safe alternatives, CCG is designed to offer safe, drug and alcohol-free activities that promote positive values such as positive behavior, sportsmanship, and camaraderie by means of game-related events, outreach, fundraising, and volunteer opportunities. 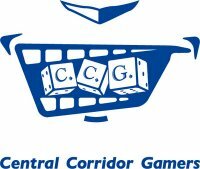 Join Central Corridor Gamers this Sunday evening from 5:30 in the evening until after the final whistle at the BIG GAME for open tabletop gaming, popcorn, and camaraderie. Parents are encouraged to bring or join their children for any number of tabletop and card gaming events. Most organized tournaments are free to enter with a few exceptions. This event has been designed to allow individuals a safe and warm environment as an alternative to Super Bowl Sunday. During this time, supervisors will be on site organizing events and maintaining a positive environment. Alcohol and drugs will NOT be allowed and individuals who are under the influence will be asked to leave immediately. If these people are responsible for transportation of an individual, alternate arrangements will be made by CCG volunteers. Learning new games or making new friends is encouraged. See list below for the various events we will be hosting and their respective entry fees. This event is officially sanctioned by Wizards of the Coast to celebrate the release of their newest product, Worldwake. Limited edition promotional prize cards will be given to each participant. â€¢ Open tables for any tabletop game ie: HeroClix, Heroscape, Scrabble, Trivial Pursuit, etc. Members of the media are encouraged to help us to publicize this event throughout the week so that we achieve maximum attendance. CCG is a non-profit organization striving to improve our community. To speak with organizer, Dan Alpers or schedule an interview, feel free to call 319.363.5799 or e-mail dan@ccgamers.org. This entry was posted in Cool Stuff, Entertainment News, Off The Wall, Video Games and tagged Alternative, Cedar Rapids, Central Corridor Gamers, Children, kids, Magic The Gathering, Pokemon, Safe, Super Bowl, Yu-Gi-OH. Bookmark the permalink.